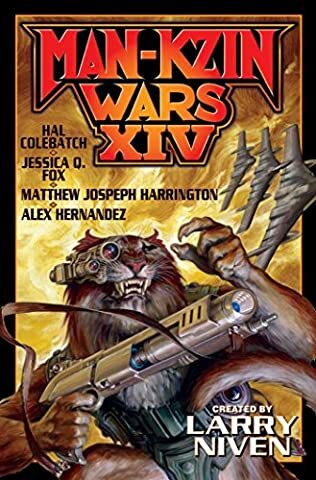 The continuously best-selling sci-fi series set in Larry Niven’s Man-Kzin universe continues with entry #13 including hard-hitting and thought-inducing tales from a host of talented contributors. 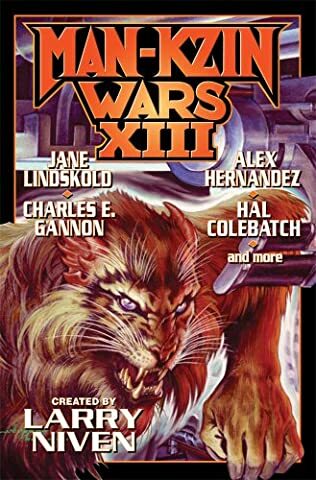 The cat-like alien Kzin, formerly invincible conquerors of all they encountered, must learn to compromise with humans if they wish to survive and prosper once again as a species. 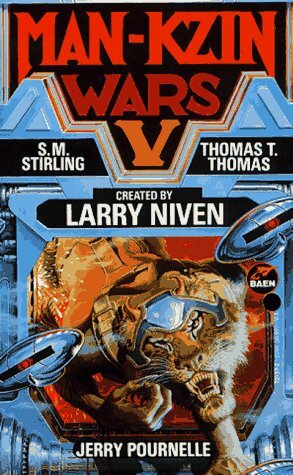 Larry Niven’s bestselling Man-Kzin series continues! 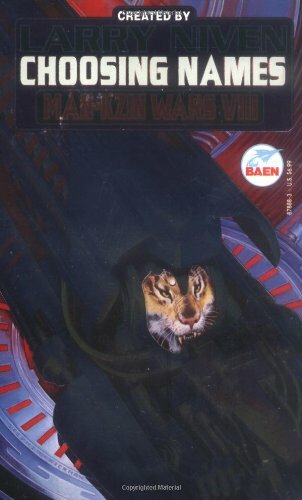 The kzin, formerly invincible conquerors of all they encountered, had a hard time dealing with their ignominious defeat by the leaf-eating humans. 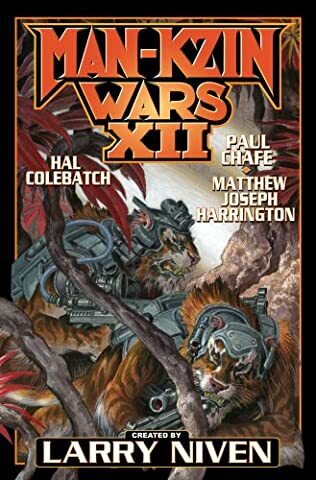 Some secretly hatched schemes for a rematch, others concentrated on gathering power within the kzin hierarchy, and some shamefully cooperated with the contemptible humans, though often for hidden motives. 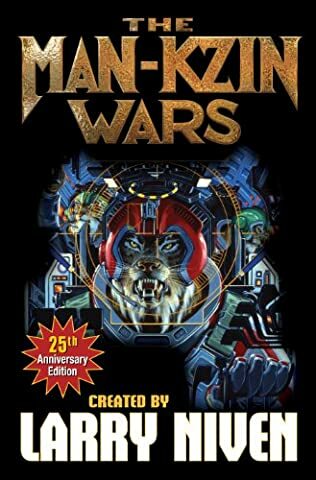 In war and in uneasy peace, kzin and humans continue their adventures with a masterful addition to the Man-Kzin Wars shared universe created by multiple New York Times best-seller, incomparable tale-spinner, and Nebula- and five-time Hugo-Award-winner, Larry Niven.